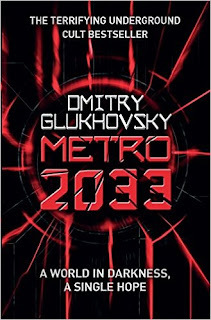 Metro 2033 offers an interesting view on how post-apocalypse world can look like. Instead of deserts scorched by the Sun and empty cities, we have a society of metro stations that function as independent states. Out of those, powerful factions emerge and fight for dominance in this underground world. 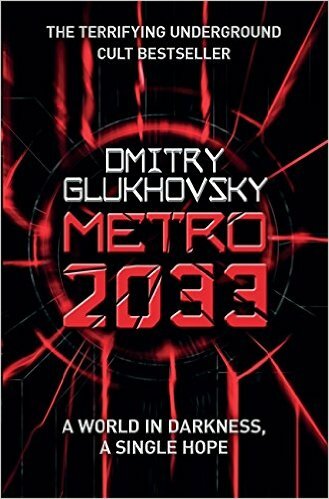 The main character, Artyom, was born before the nuclear holocaust that forced people to live in the metro. He was miraculously saved from an invasion of rats that destroyed the population of his station. Now he lives on the VDNKh station with other survivors. The station is suffering from increasing attacks by creatures known as the Dark Ones. It is soon revealed that their appearance is probably connected with Artyom and his friends' illegal visit to the surface. The protagonist meets a man named Hunter, who tells him to seeks the legendary station of Polis if he fails in returning from his quest to gather more information about the Dark Ones. Soon after that Artyom sets off on a quest that will enable him to meet representatives of different stations and experience the worst that the metro has to offer. I enjoyed reading descriptions of various factions spread throughout this underground universe. Their different cultures, styles of living and problems they faced were described in a very interesting way. However, what I didn't much care for was how the action was moved forward. It seemed to me that everything in this book is action-driven. There is some kind of scheme as Artyom arrives at a new place, struggles and just about he is to die, a miraculous rescue happens. It felt too far fetched after the first time and each successive situation like this one only decreased the suspense and any traces of credibility of the story for me. I liked the ending as it was ambiguous, but I don't think I will be reading more novels from this universe.